This two disc compilation of Johnny Cash songs stretches throughout his career. Initially release in North America in April of 2002, it was later released worldwide in 2004. In 2009, the CD was reissued in North America again, this time titled “The Essential Johnny Cash 3.0” and featuring a third disc added to the collection, while the first two discs remained the same. This 3.0 release was released in environmentally friendly cardboard packaging while earlier releases were in plastic jewel cases. The song included here was a song that U2 had recorded with Johnny Cash in 1993 for their album “Zooropa”. “The Wanderer” was the last song on the album “Zooropa” and it featured Cash on lead vocals, and Bono in a backing vocal role throughout the song. The track ends on the album, and then there is some silence before a DJ alarm comes blaring in on the “Zooropa” album. That alarm is edited out of this compilation, although once again “The Wanderer” closes an album. 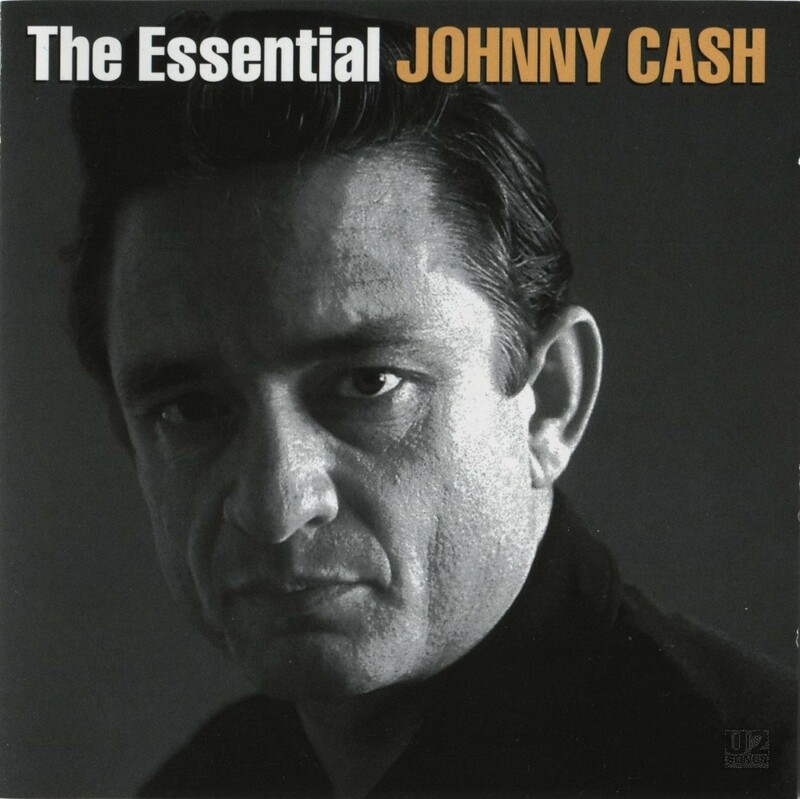 “The Essential Johnny Cash” is part of a series of recordings by Sony Music. “The Essential Willie Nelson”, also part of this series, also features a track with U2. Another 2005 compilation entitled “The Legend of Johnny Cash” would also feature “The Wanderer” without the alarm sounds. That compilation is a one disc compilation. Johnny Cash with U2. Written by Bono / U2. From the album Zooropa, recorded 2/11/93 & 3-5/93, Dublin. Released 1993. Produced by Flood, Brian Eno and The Edge.